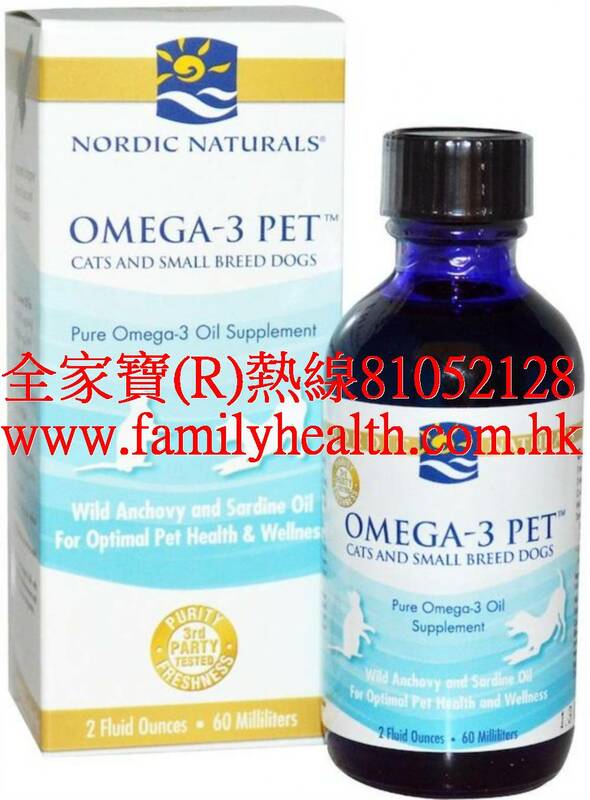 Nordic Naturals Omega-3 Pet for Cats and Small Breed Dogs is an excellent source of the omega-3 essential fatty acids EPA and DHA. 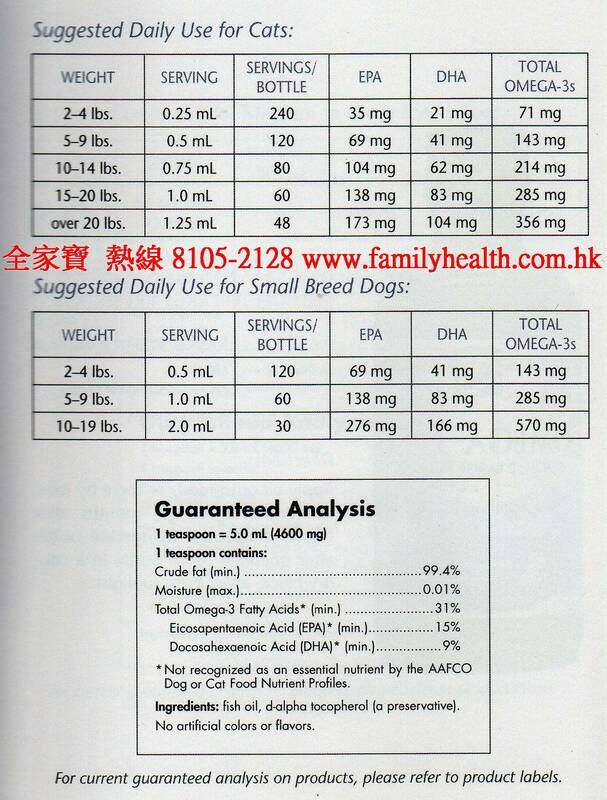 It is an essential supplement to promote optimal pet health and wellness at home. Our pure omega-3 oil is derived exclusively from wild anchovies and sardines from the South Pacific Ocean off the coast of Peru. In 2008, the sustainability of these Peruvian fisheries was ranked as number one in the world. 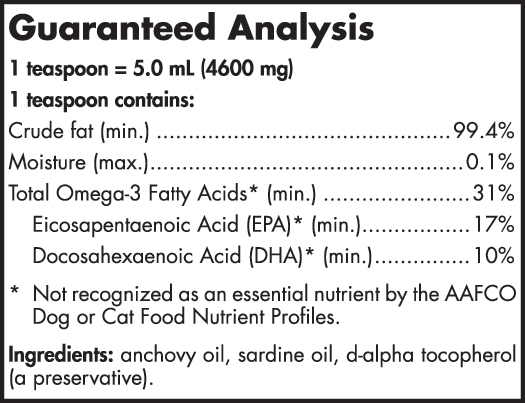 Nordic Naturals Omega-3 Pet for Cats and Small Breed Dogs does not include rosemary oil or flavorings, which are contained in our human products, in order to ensure safety for pets. 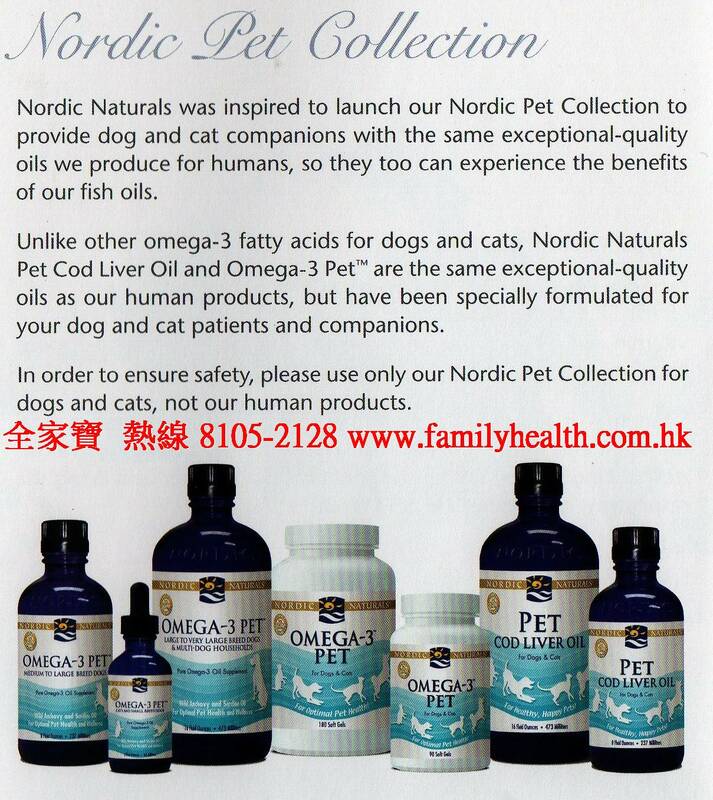 Please use only our pet products for dogs and cats. 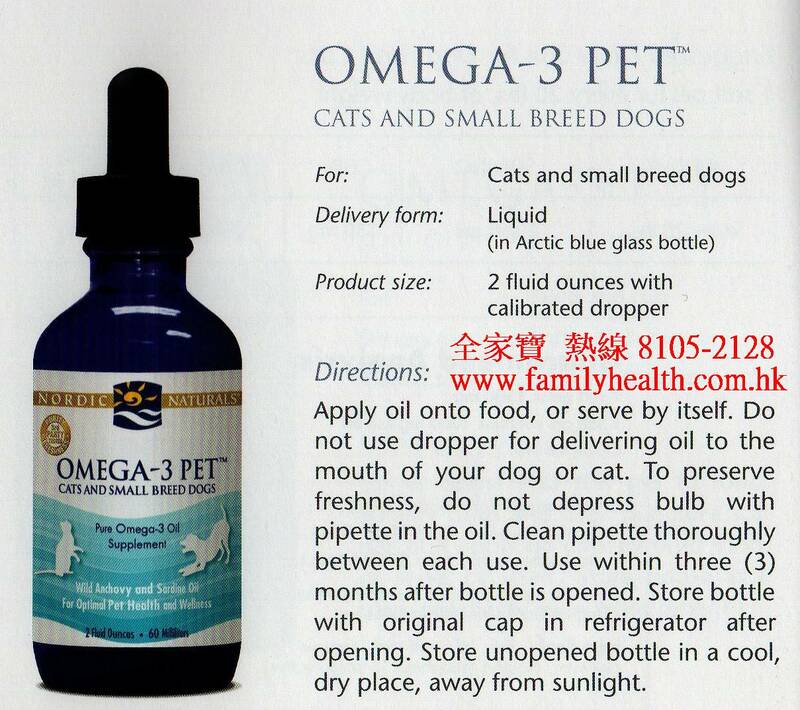 Do not use dropper for delivering oil to the mouth of your dog or cat. 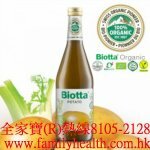 To preserve freshness, do not depress bulb with pipette in oil. Clean pipette thoroughly between each use.